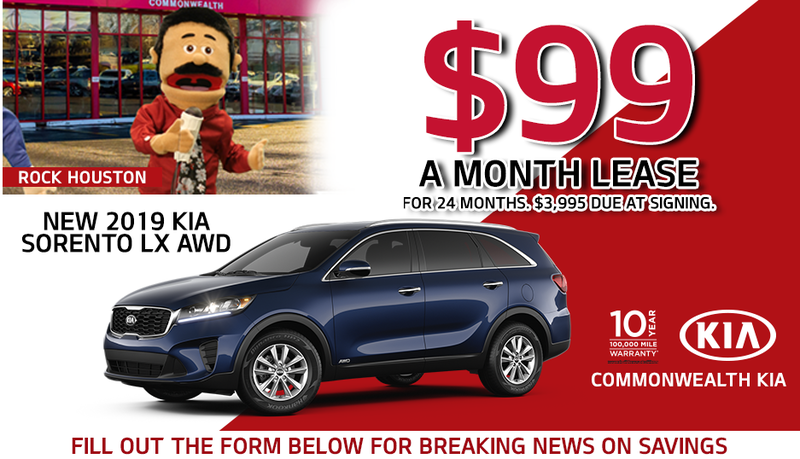 *Lease a New 2019 Kia Sorento LX AWD LEASE MSRP $30,435, $99 a month for 24 months. Plus tax, title, and all applicable fees. 12,000 miles per year. For well qualified lessees. Not all customers will qualify. Lessee responsible for excess wear and mileage. Additional per mile charge over 12,000 miles per year. $3,995 cash due at signing. $0 security deposit. See dealer for details. Offer expires 4/30/19.